If you have been told by your dentist that dental implants may be a good option, there are probably a few questions running through your mind. Why would I opt for dental implants? What are the advantages to be gained by going in this direction? In this post, we are going to take some time to explain what it is that makes dental implants so appealing. Of course, there is only so much we can cover in a blog post. If you would like more information on dental implants, or if you would like to talk more specifically about whether or not they are a good choice for you, contact Lakeside Dental right away. Before we dive into the benefits and advantages of going in this direction for your treatment, we need to take a moment to make sure you are clear on what a dental implant is and why it would be used. You might think of a dental implant as a replacement tooth, but that really isn’t quite accurate – more accurately, it’s a replacement tooth root. Once a dental implant is in place, you can then have a replacement tooth installed on top of the implant. Those replacement teeth can either be fixed or removable. Unlike some of the other options you will have for replacing your teeth, such as dentures, a dental implant is a long-lasting solution that may not need to be dealt with again for the rest of your life. It’s certainly a more involved process to have a dental implant placed as compared to getting fitted for a set of dentures, but your reward for going through that process is a solution that should last for many, many years. It’s perfectly normal to want your replacement teeth to look as realistic as possible once they are put in place. Of course, you don’t want people to notice that one or more of your teeth are replacements each time you smile – you just want them to look normal. While there are a variety of tooth replacement options available in the dental world today, it’s hard to argue against the case that dental implants do a better job than all the rest. Once your dental implant is in place, you’ll have a tooth added to the top which will be designed specifically to work in your mouth. In many cases, it’s difficult – or nearly impossible – to tell that replacement tooth apart from the rest of your natural teeth. This is one of the biggest things that is appealing to dental patients about implants. If the look of your smile is one of your top priorities in this process, it will be hard to beat what a dental implant can offer. Anyone who has used dentures previously can speak to the fact that they do not always stay in place while eating. And, even if they do stay in place, they may not offer the same kind of chewing experience that is provided by your original teeth. When you opt for dental implants and the replacement teeth they feature, you should find that your chewing experience feels very much like using your natural teeth. That means you won’t have to think so much about what you order at a restaurant, and you’ll feel free to enjoy most – if not all – of your favorite foods once again. 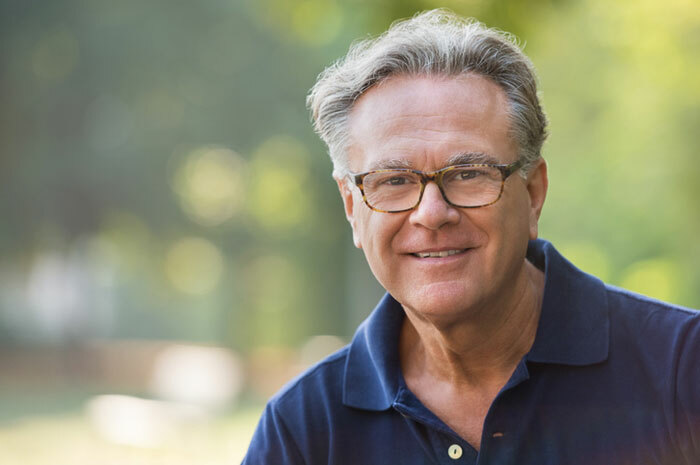 If you are someone who loves to treat yourself to great foods, and you feel that you’ve been held back by other replacement tooth options, consider a dental implant for an improved experience. Another one of the problems reported by denture wearers is the uncomfortable nature of wearing removable dentures day after day. You’ll have to deal with putting them in and taking them out, cleaning them, and more. It’s a hassle, and one that you would probably want to avoid if at all possible. With a dental implant, you will have to do nothing once the work is complete and your replacement tooth is in place. It’s just a part of your mouth, and you go on with your day to day life as usual. Have you noticed that dentures have a negative impact on your ability to speak clearly? If so, you will be happy to learn that yet another advantage of dental implants is the fact that you should be able to retain your normal speech. Without teeth that are going to potentially move as you are talking, there won’t be any worry that your typical speech will be interrupted, and you can be confident whether talking to family, friends, or co-workers. At the end of the day, the main selling point for dental implants is the fact that this option will allow you to get as close as possible to the feel and performance of your natural teeth. And isn’t that what every dental patient desires? You want your teeth to look great, to be comfortable and pain-free, and to perform properly when chewing, talking, and more. Thanks to the option of having a dental implant put in place and a replacement tooth added on top of that implant, you can enjoy an incredibly long list of benefits. This option is not going to work in every situation, but it should be near the top of your list when speaking with a dentist about replacing your missing teeth. By this point, there should be little doubt as to the many benefits that dental implants bring to the table. Does that mean they are going to be the right choice in your case? Not necessarily. All dental work is done on a case by case basis, which is why it is so important to work with a quality dentist. At Lakeside Dental, you can count on receiving the care you need based on the specifics of your case. Give us a call today to get started!